I received an email from a RoyOnRescue friend who had suffered a head injury while playing a sport. After being seen by the doctor he was diagnosed with Cerebral Venous Sinus Thrombosis or (CVST). He had asked me if I would give my explanation of what it is and if it was something he should be worried about. His doctor had ex plained it but he was still a bit foggy regarding the diagnosis. Well, after looking into it from the clinical perspective, I realized that it was a pretty big deal and in some cases may be fatal. I researched multiple sources to gather credible information and when it all came down to brass tacks, I found that the Wikipedia explanation had done a pretty dog-gone good job of summarizing CSVT. So, with all credit given to them for most of this article and a link back to their website, here it is. I have personally responded and treated many different types of head injuries as a paramedic but had not researched this problem to this level. Then, shortly after receiving this question, I read that Secretary of State, Hillary Clinton was diagnosed and hospitalized with the very same problem secondary to her head injury! Ironic. So, I thought to myself, if two people experienced this problem secondary to a common traumatic head injury(concussion), there may be more with the same question. Here’s my trimmed-down version of what it is, what it’s symptoms are, how to determine if it is truly CSVT and then what a person may want to do if they think they may be suffering from such a complication. So let’s dig into some of the questions you may have! P.S. You’ll notice there are more links then usual in this article. The topic is so complex and has so many different facets I thought it wise to allow you to do some of your own information mining and hope the links make it easier. Q: What is a cerebral venous sinus thrombosis anyway? A: A CVST is the presence of thrombosis (a blood clot) in the dural venous sinuses, which drain blood from the brain. Q: What causes a CVST? Q: How might I know if I have a CVST? A: Headache that may worsen over the period of several days, but may also develop suddenly. 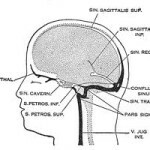 Strangely the headache may be the only symptom of cerebral venous sinus thrombosis. Stroke, 40% of all patients have seizures, Common symptoms in the elderly with this condition are otherwise unexplained changes in mental status and a depressed level of consciousness. The pressure around the brain may rise, causing papilledema (swelling of the optic disc) which may be experienced as visual problems. In severely raised intracranial pressure, the level of consciousness is decreased, the blood pressure rises, the heart rate falls. 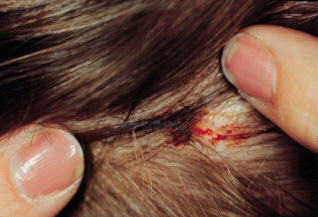 This is a common symptom found in closed head injuries which makes sense as the mechanism is very similar. Q: How will the doctor know if this is what I have? Q: How is a CVST treated and cured? A: Treatment is with anticoagulants (medication that suppresses blood clotting), and rarely thrombolysis (enzymatic destruction of the blood clot). Given that there is usually an underlying cause for the disease, tests may be performed to look for these. The disease may be complicated by raised intracranial pressure, which may warrant surgical intervention such as the placement of a shunt. Q: Can this be serious? A: Yes. Like any illness or injury that causes a problem with the circulation of oxygenated blood to our tissues, this type of problem can be very dangerous if left untreated. It also runs a risk of complication in that it raises the intracranial pressures which can act similar to a closed head injury and this too can cause severe injury or death. If a person has any of the symptoms listed above, they should be seen as soon as possible to rule out this potentially life threatening disorder. 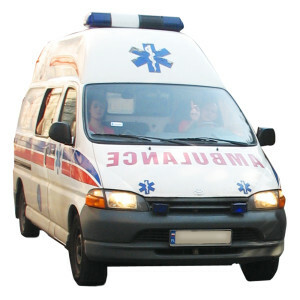 If a person is reacting with decreased level of consciousness, or any type of life threatening complications, activation of Emergency Medical Services or 911 should be immediate with life saving or time buying intervention given. I hope this helps and keep well! When Is It Safe To Return To Work or Sport After A Concussion? I had a person email this question and I thought it may be a good refresher for everyone on a very common accident and injury that effects many different age groups and many different people. Below is the question and the answer follows below that. I had an injury yesterday playing baseball I ran into another player. I don’t really remember what happened. I was told I hit my head on his chin and on the way down, my chin hit his knee, and then hit my head on the ground. I was knocked out. When I woke, I didn’t know what happened and could not move or talk for about a minute. Then, when I went to get up, my legs collapsed. So I went to the emergency room for a CT scan. No bleeding to the brain, but had an extreme headache. Now the next day, head still hurts and my neck is sore but not as bad. the ER doc said everything looked fine, but could not really say if I have a concussion or not. He said I have the “symptoms”. I guess my question is, when should I go back to work? The doc only took me off for a day but I am still in pain. Concussions can be very tricky. They may not show up on CT or Xray and you can really feel lousy for a while after the initial accident. If you don’t feel capable of returning to work, it’s always best to allow your body the ample time required to heal prior to putting your body back in a stressful situation. However, that’s the perfect case scenario. It’s pretty common that those of us who work, may have to return to work prior to feeling 100%. If this is the case and you cannot get your doctor to write a letter for additional recovery days for your employer, make sure you watch your signs and symptoms and listen to your body. If you become dizzy, nauseated, develop a headache etc., these can lingering signs of a concussion but may not be serious enough for you to be hospitalized. But if you handle heavy equipment or must be at your best to stay safe, keep others safe, or do the level of job required of you, this should probably be communicated to your professional health care provider and see if an extra bit of recovery time could be allowed. It’s never any fun getting a “Konk On The Melon” and even less fun dealing with the lingering side effects while duty is calling the patient back to work. Keep an eye on your symptoms and as most any health care provider would tell you, if your symptoms worsen, you become more painful and not less painful over time, if you have numbness, tingling, have a seizure, headache increases, get more dizzy not less dizzy or have a decreased level of consciousness, 911 should be called and you should be seen in the Emergency Room. Other wise, if the symptoms don’t get worse but get better though are still lingering a few days, it may be within normal recovery expectations and you simply need to take it easy and allow yourself to recover. If you are ever in doubt, don’t hesitate to contact your medical professional and let them know what your symptoms are and see if they want to reassess the situation. I found a well laid out guideline for definitions and signs and symptoms from a website and I’ll pass the information on to you along with the link for credit to the referenced website. 6. You should play through the pain—get back in the game! Concussion is a mild traumatic brain injury that occurs when a blow or jolt to the head disrupts the normal functioning of the brain. Some athletes lose consciousness after a concussion but others are just dazed or confused. 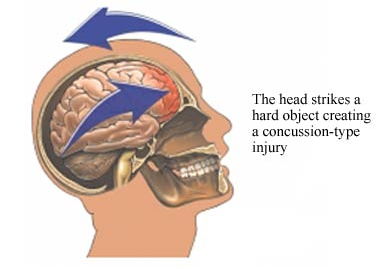 Concussion is usually caused by a blow to the head, but can also occur due to whiplash. How can you tell when an athlete or person gets a concussion? Sometimes, but not always, the athlete will be knocked out. In cases where there is no obvious loss of consciousness, the athlete may appear to be confused or disoriented (such as running in the wrong direction), and may not remember things that happened before or after the concussion, such as what period it is or the score of the game. Often, the athlete will describe some symptoms of a concussion, such as headache, dizziness, nausea, or blurred vision. It is also common for athletes to describe feeling “fuzzy” or “foggy” after concussion, and to have problems with balance or coordination. For this reason, and also because symptoms can sometimes worsen rather than improve, careful observation of the athlete after concussion is especially important. Post-concussion syndrome is a term that describes the physical, cognitive, and emotional symptoms that are caused by concussion and which can last for a varying amount of time after injury. Some symptoms show up right away, but others may not appear or be noticed until the next day or even later. Likewise, some symptoms might resolve fairly quickly, but others—especially fatigue—can persist much longer. The number and severity of symptoms, the speed of recovery, and the impact of symptoms on day-to-day functioning will be different for each athlete. 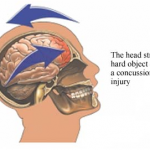 Most people do recover completely from a concussion, usually in a matter of days. However, it can take up to a year or longer for some athletes to recover, and in some cases the symptoms won’t go away. Recovery may be slower in those who have already had one or more concussions, and in those who have a history of learning disability or attention disorder. When it is safe to return to play after concussion? 2. An athlete should not return to play before he or she is completely symptom-free at rest and after exertion for a specified period of time, which varies based on the athlete’s history and the severity of the concussion. 4. When in doubt, sit them out! How can you tell when an athlete is symptom free? An athlete should only return to competition when it is clear that there are no lingering symptoms of concussion. Unfortunately, because concussion is an invisible injury, and because athletes may minimize or not recognize persistent post-concussion, symptoms, this can be a tricky matter. Also, symptoms may sometimes go away, only to come back after physical or mental exertion. Most often, return to play decisions are made without the benefit of neuropsychological testing and are based on observation and player report of symptoms. Neuropsychological testing provides the coach or team physician with information that can help to take the guesswork out of concussion management and return-to-play decisions. Using a battery of tests of memory, reaction time & processing speed, we can provide specific information regarding the severity of injury and a standard for evaluating recovery from injury. It is of benefit for athletes to receive baseline assessment prior to or at the beginning of the athletic season to allow for within-subjects analysis of scores following an injury. I hope this helps J—- and I hope you feel better real soon. How to Hit Your Head on Pavement at 17MPH and Survive! Imagine riding your road bike and as you near a curve in the bike trail hitting speeds of around 17 miles per hour your front tire instantly goes flat. Now you’re trying to corner on a metal rim sliding across the pavement which has as much traction as an ice skating rink. This is exactly what happened to Tom Monett, cycling enthusiast, big mountain skier, hiker and mountain climber. As Tom’s bike slid out from underneath him, he didn’t have enough time to catch himself let alone think about what was about to happen. As his head hit the pavement, and his ribs began to break, his wisdom to ride with personal protective equipment most likely made the difference between life and death. Watch this episode of royonrescue to see the full interview and hear his story about surviving a high speed cycling crash. Warning! Video contains graphic pictures of injuries and accidents. Ever see someone hit their head very hard? Wonder if it’s just a minor “Knock on the Noggin” or could it be a serious head injury? In this Roy On Rescue Video Blog entry, Roy Shaw, EMT-Paramedic answers those questions with directives on how to assess, stabilize and treat a person for a serious head injury or minor. There’s nothing worse than sitting with a crying child or an injured adult and wonder if we are over reacting by calling 911, or under reacting by not doing more. Watch this video blog for some interesting insights straight from the Paramedics mouth on what to do. Don’t miss this entry where Roy puts a common sense spin on how to handle the next event where someone hits their head and no one knows if they should go in to the hospital or just sleep off the headache. Watch the video below if you would like to see a video animation of what happens in the skull when a person hits their head.